The Asian Development Bank (ADB) has promised a loan of US $ three billion to Sri Lanka for infrastructure development. In addition the ADB will grant a separate aid for the development of Small and Medium Enterprises (SME) sector. The loan facility given under a concessionary interest rate will be given to Sri Lanka through the next three years. The loan agreement was reached during the 49th ADB Finance Ministers’ summit in Frankfurt, Germany last week. 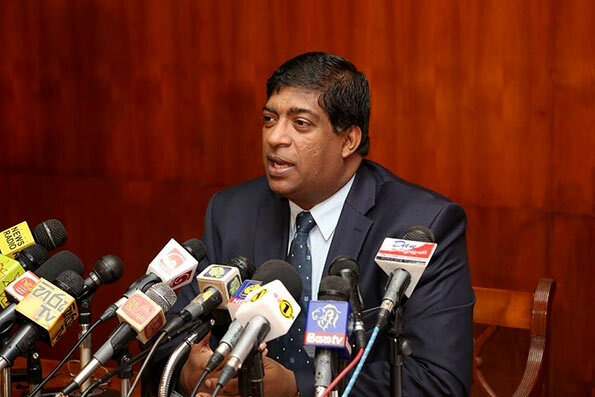 Finance Minister Ravi Karunanayake represented the country. The loan facility given will be allocated to some of the main development projects in the country and will be channelled to develop new railways, port development, electricity distribution network, and highways and transportation systems. The ADB annually lends Sri Lanka about $ 400 to 500 million, however this loan is in excess to this annual amount. The ADB will give a further US $ 200 million to develop the SME sector. Ravi looks even smarter in his new suit maybe he ought to give his old rags his tormentor the charioteer for guiding him through troubled waters. Sri Lanka indeed is blessed for the ADB to grant 2000 million doallrs over the counter for projects in the making for the normal procedure is to table an all inclusive exhaustive proposal with proven feasibility to generate enough dollars not only to meet the cost of the project and service the project loan. Further we were told a few weeks back that the ADB had pledged 1500 million dollars to fund similar projects, This 2000 billion, are we to assume, excluses this amount if so we are even more blessed. Since these projects unqualified then will it be possible to siphon these monies to fictitios Pan Asia Bank accounts. OMG ! During the last regime and that was mahindas gov peeled and sucked our live hood by hiking all fundamental and necessary thing day to day needs by tax to repay these mountain high loan interest. But now this incumbent gov has to bear the amount those were swallowed by money monsters during mahindas regime.even I can point out some of the cabinet ministers involved in. Baba Namal , money crock Rishard Ba***udeen, Mr comis Basil, Man killer Gota, fake pp n bc maker wimal , and the great actor mahinda are the most money plunderers ever in sl history. And even more I could point out some ….. Yes you need foreign loans to buy luxury cars etc for your advantage. Just tell me how you going to pay back this money? I don’t think this man can run a budget of a “dose kade” rather than a financial institute of a country. . Never mind, his budget only last for three days. What a relief.